The Town of Torrey is located on Seneca Lake in Yates County in the Finger Lakes district of New York. 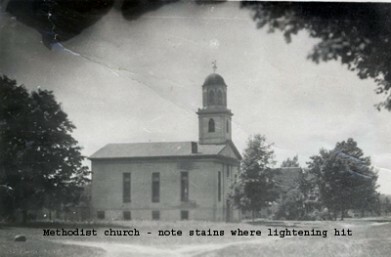 Settled in 1788 by members of Jemima Wilkinson’s Friends Society seeking to found a New Jerusalem, Torrey became a township in 1851, the last of nine townships established in Yates County. With a land area of less than 40 square miles and a population of less than 1,300, Torrey is one of the smaller towns in the county. 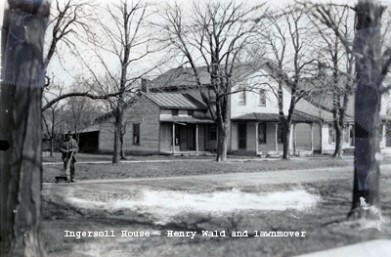 Torrey contains one village, Dresden, notable as the birthplace of Robert Ingersoll, orator, freethinker, and opponent of fanaticism. Distinctive features of the Torrey landscape include the extensive 17 miles of Seneca Lake shoreline, and the many pristine farms and vineyards that constitute well over 72 % of the area of the Town. The agriculture is small scale— market gardens, truck farms, and dairy farms, and an increasing proportion is organic. A majority of the agricultural enterprises are family owned, many by members of the large Mennonite community in Torrey. The vineyards on the slopes above Seneca Lake supply the half dozen wineries making up Torrey’s contribution to the Seneca Lake Wine Trail that winds down Route 14. The quality of locally produced wines, particularly the Rieslings, has been recognized by an increasing number of national and international prizes over the past several years, and by the praise of connoisseurs who collect Torrey wines for their cellars. Newspaper article about Betty Smalley - Torrey Historian for over 30 years, deciding to retire at the age of 94. Betty passed in 2005 at the age of 96. 1995 Crooked Lake Review article about Bolton Brown, Dresdens "other" famous son. Full transcript of the Canal Property Case dated October 16, 1996. 1978 Chronicle-Express article covering the tornado that struck Dresden. Duck Plague virus in the Finger Lakes in 1994. Leach house, Willis house, Dresden four corners. Little known facts about the early days of Dresden. Newspaper article from the Yates County Chronicle, October - 1907. Early history of the Dresden Hotel. Built about 1826 by Joseph Remer, it was initially called the "Eagle Hotel." Detailed history of Yates County and the Town of Torrey. 1998 Chronicle Express explaining how Anthony Road got its name. Isaac Bogart - Early Settler Of Dresden. Story of Isaac Bogart, an Attorney from Geneva, designer and one of the first settlers of Dresden. The Long Point Hotel opened June 27, 1882 by S. K. Nestor of Geneva, with 76 rooms. The forgotten village of Hopeton lies about 14 miles South of Geneva, near Dresden. 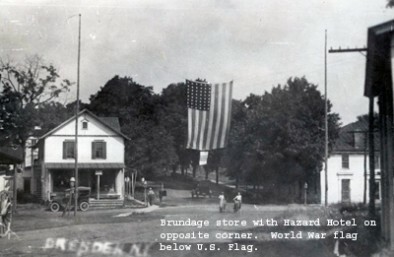 Due to the booming growth of Dresden with the with all the mills along the Keuka Outlet and the need for barge transportation of products, barge traffic increased on Seneca Lake shores substantionally as well as local employment. Map of Dresden circa 1876. 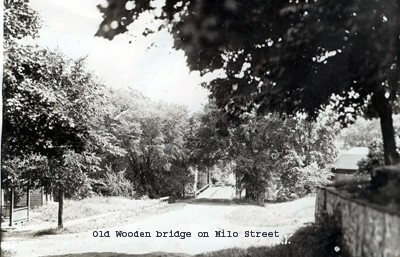 A 1995 Watkins Review and Express article covering early folklore surrounding Seneca lake. Undated map of Torrey Township, hand written. Seneca Lake froze over in 1875-76, and a new business was born. Seneca Lake Sea Serpent killed July 15th, 1900. Detailed account carried by the Rochester Herald in July, 1900. In 1906, the steamer "Colonial" runs into the old stone piers, and passengers are conveyed ashore in row boats. The Dresden Hotel once served as Dresdens social center. 1998 Chronicle-Express article about an 1873 "fish story." The steamer "Onondaga" was launched in 1870 at the foot of Castle Street in Geneva. 1976 Article covering the Torrey Bicentennial celebration. This information is taken from the pages of notebooks of Betty Smalley, longtime Town of Torrey Historian. Transelco is a Division of Ferro Corp. Maker of Diaelectric ceramics and polishing compounds. Note considering the consolidation of Yates County Highway Departments.